Providing you the best range of contour memory foam pillow, regular foam pillow, regular memory foam pillow, contour foam pillow and travel neck pillow with effective & timely delivery. 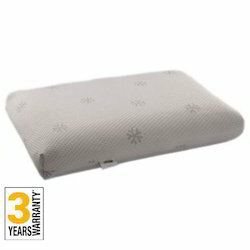 These pillows give you the utmost comfortable sleeping experience with the neck support along with memory foam. You can bliss out peacefully with our memory foam pillows. Ideal for people who sleep in different positions. Check warranty card for details. Easy hassle-free return policies – conditions apply. Call us for expert advice to discus your needs. Quality checking process: quality requirements of the mattress is bench-marked and set as standard. * Any material from external party are inspected and ensured that it meets prescribed standards (test certificates are checked and ensured). * On each steps like bonding , stitching etc, specifications like dimensions, visual defects are checked by qualified QC in-charge to ensure adherence. Experience a new world of comfort with foam pillows. They are durable soft ideal for your peaceful night. Memory foam pillows embrace you giving you a great degree of comfort. They are durable soft ideal for a blissful experience. Your neck takes its shape with contour pillows. They are created with an orthopedic vision to bring a comfortable sleeping experience. Find your perfect travel mate here. Carefully designed to fit comfortably between the neck and the seat. We have experimented with a lot of material to find the ideal durable weightless travel companion. We are also available at duty free stores in airports.